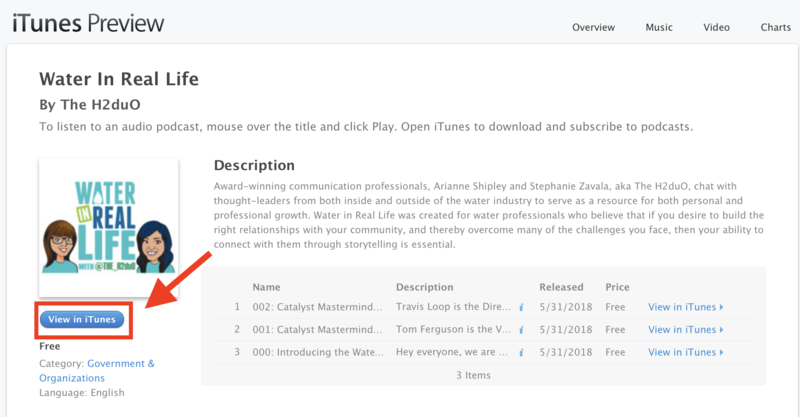 If you’ve checked out the Water in Real Life podcast and you’re a fan, here’s how to rate and review the podcast in iTunes in less than 4 minutes. 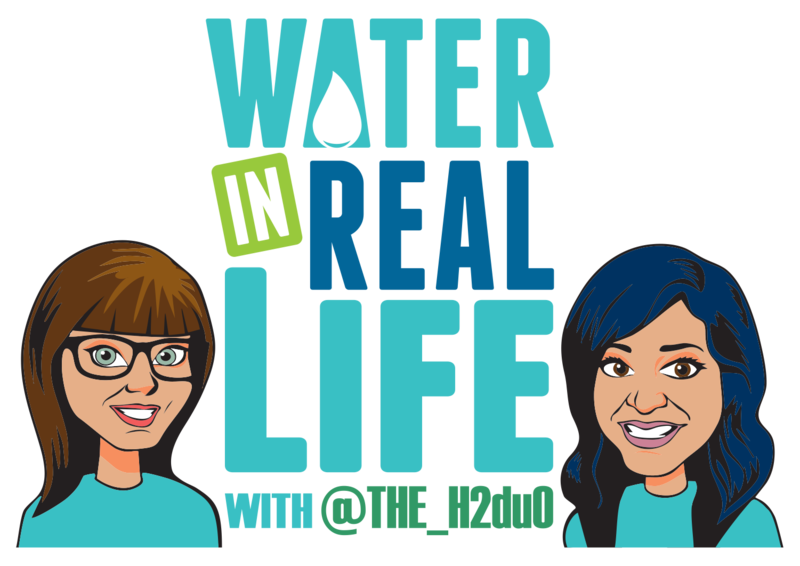 Step 3: It will take you to the Water in Real Life page on iTunes. Click the Ratings and Review tab and then follow the instructions below. 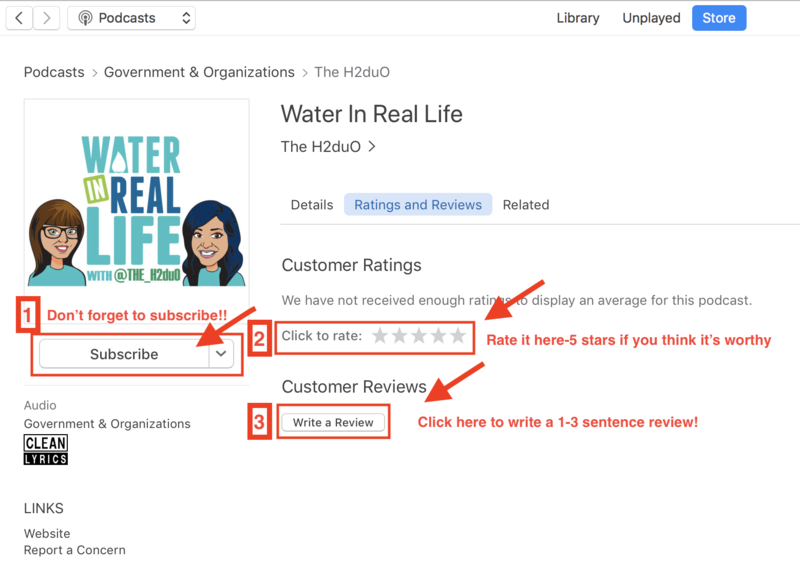 Step 4: Rate the podcast by selecting 1 to 5 stars. If you show us 5-star love we will totally give you a shout out in a future podcast. We love our fans. Step 5: Write a brief, honest review. We’re thinking one to three sentences. We appreciate your time! While you’re there, if you haven’t already subscribed, hit the subscribe button. We’d be honored to have you in Team Water in Real Life. We appreciate you!